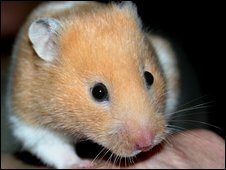 A report about a hamster being stuck under floorboards was one of thousands of nuisance calls made to South Yorkshire Police over the last year. The force said eight out of ten 999 calls made in the county were not genuine emergencies. Other recent calls include people without credit on their phone and a person reporting wasps in their garden. South Yorkshire Police said they received about 15,000 non-emergency 999 calls every month. It said despite most of the misuse not being deliberate, these calls could stop genuine cases getting through. Supt Rob Odell said: "Every second counts in saving someone's life, preventing injury or catching a criminal. "You never know when it could be you in desperate need of help and the last thing you need is to lose vital seconds or minutes because someone has called 999 to order a taxi." Police are asking callers only to ring 999 if a life was in danger or if a crime was in progress.